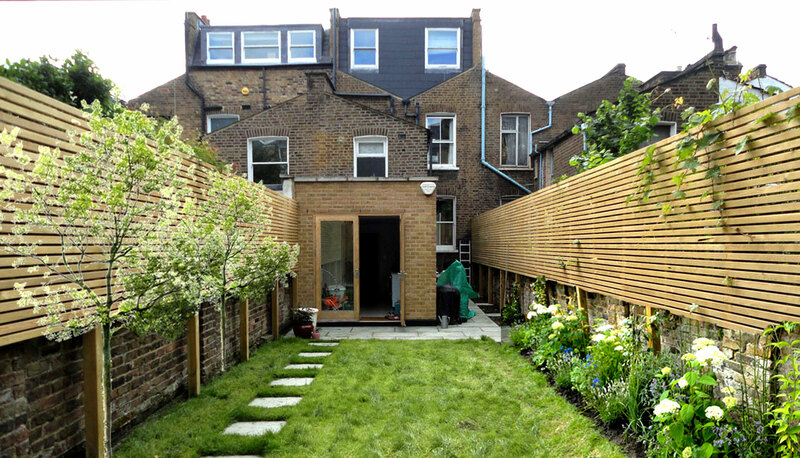 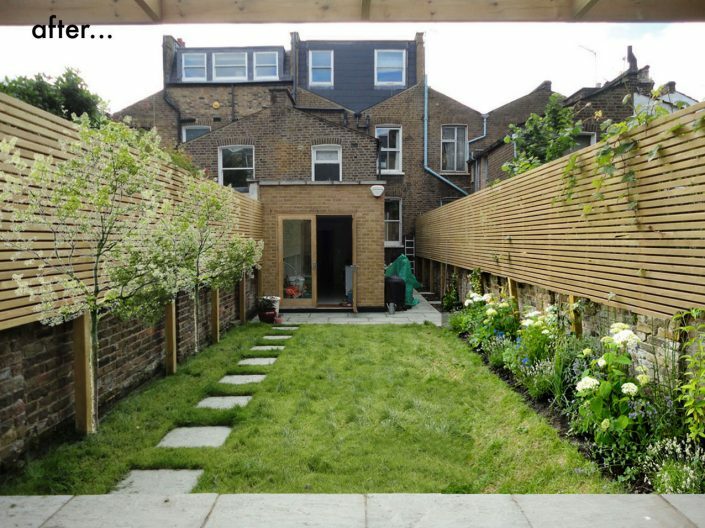 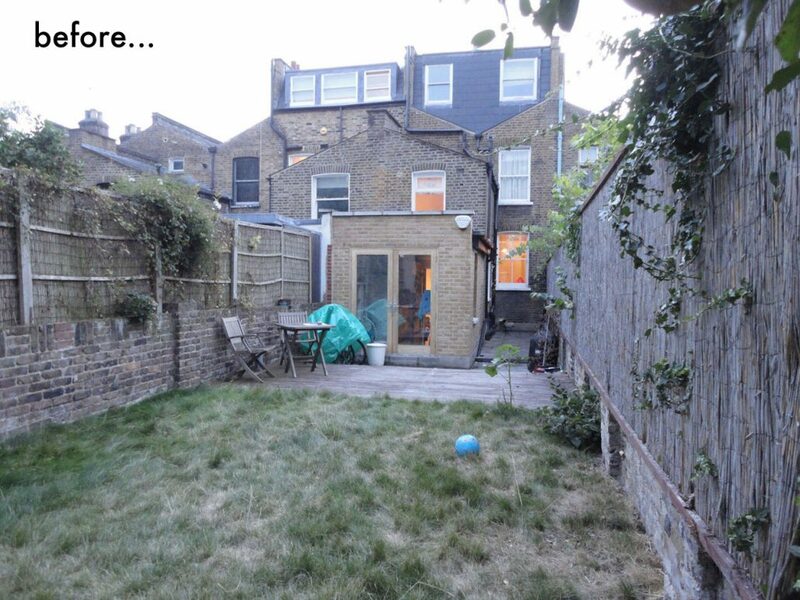 This family had longed for a usable outdoor space for their young children to enjoy, and to host ‘get togethers’ for family and friends. 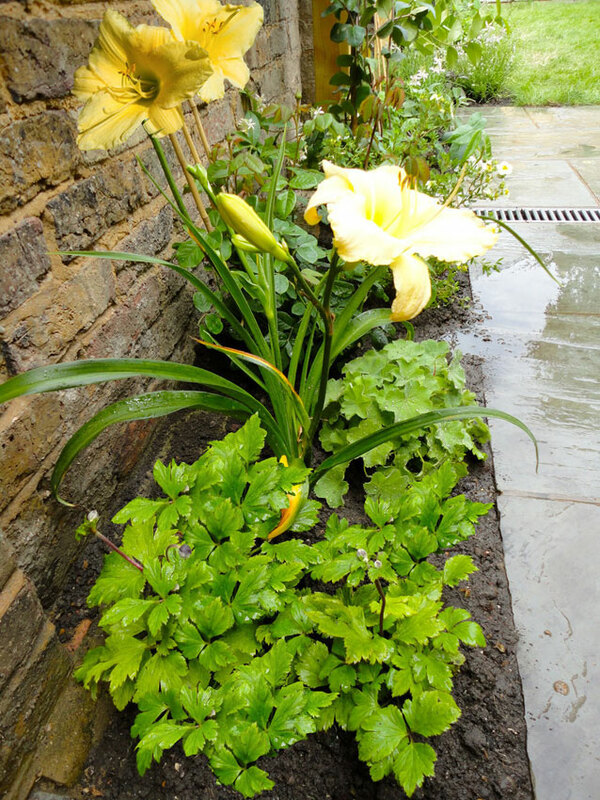 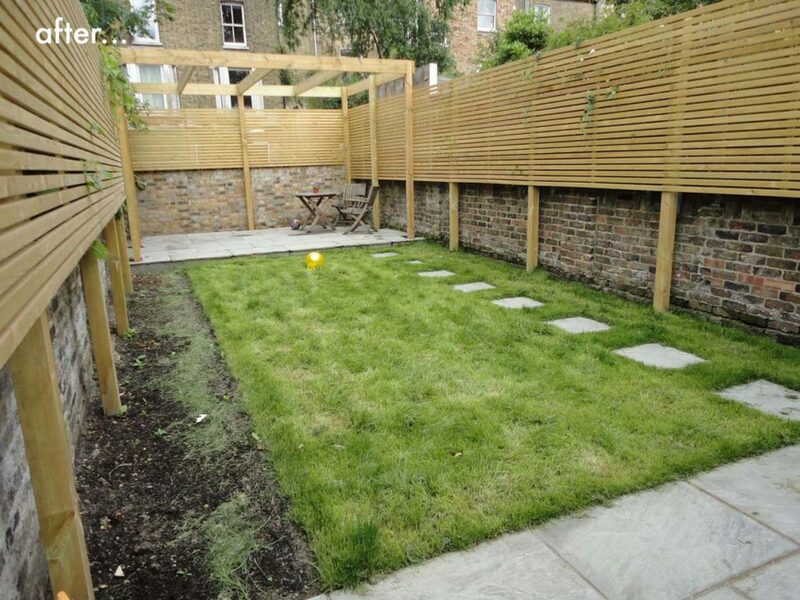 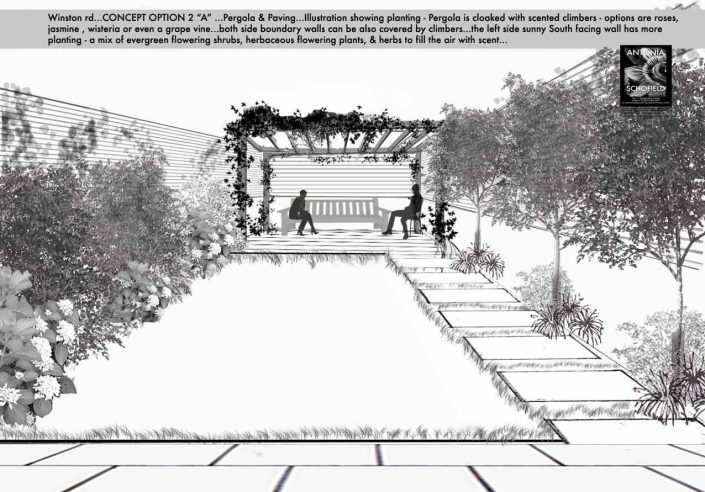 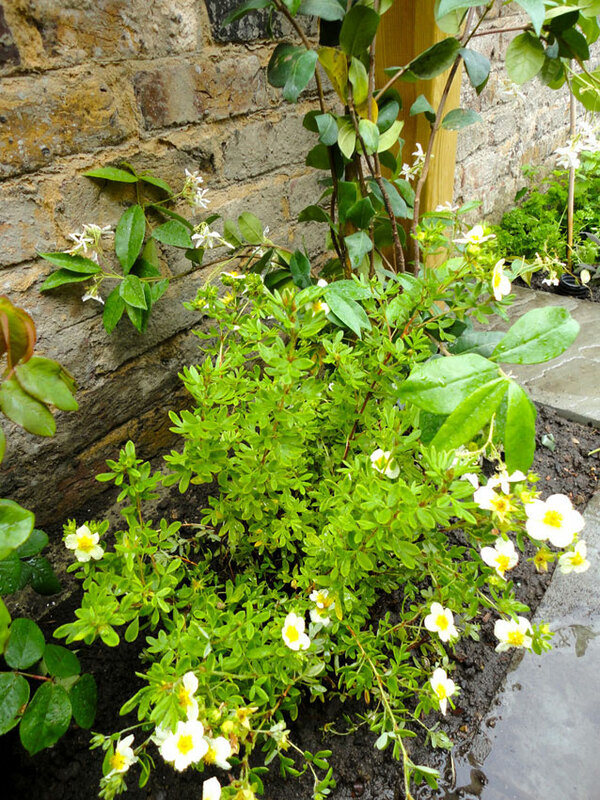 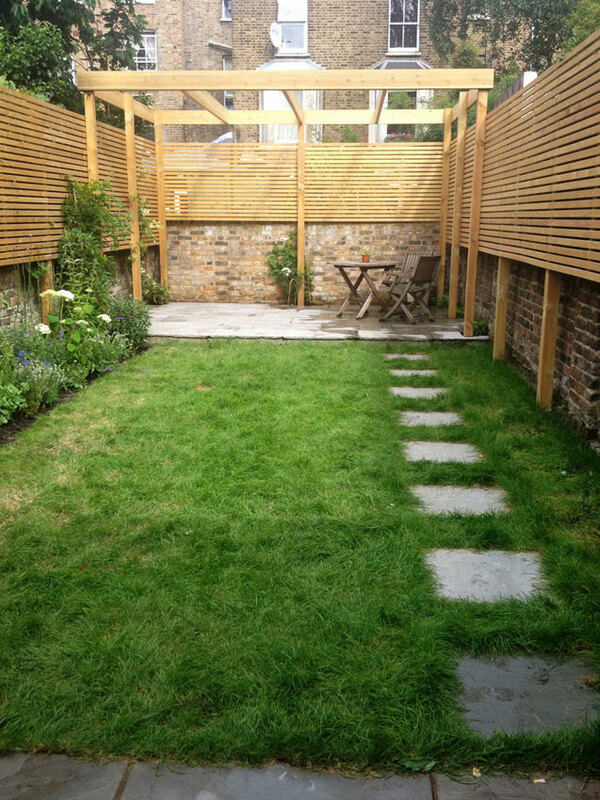 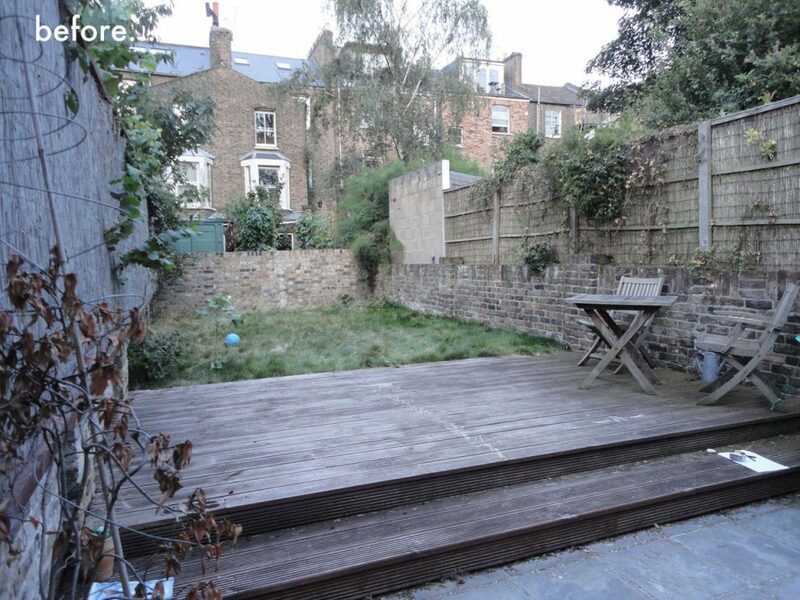 The garden was a barren space with no plants at all, and rather overlooked by the neighbours, so a sense of privacy was needed, and a re jigging of the space and how it could be used. 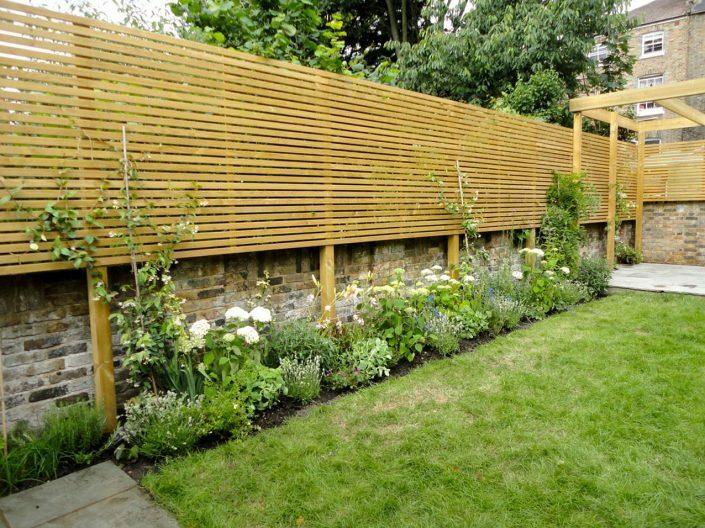 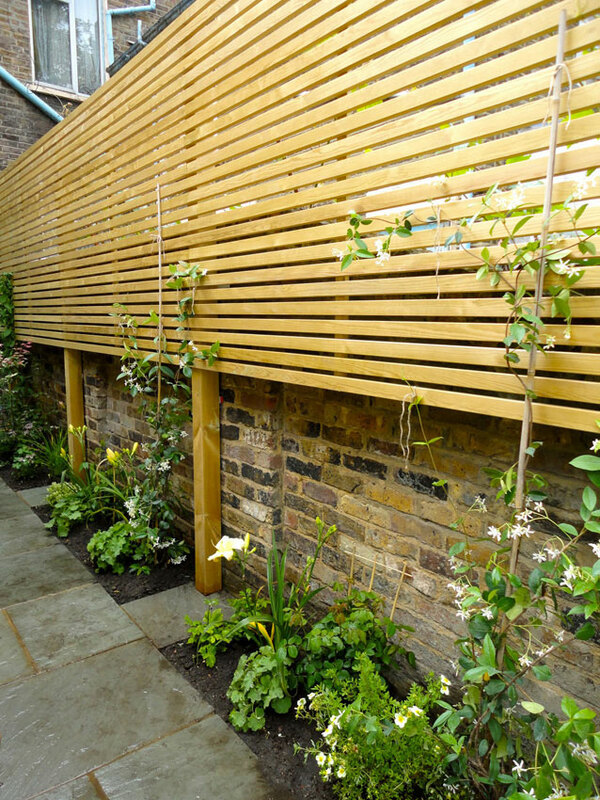 As the end of the garden faced West, this seemed like the perfect spot for the terrace area for relaxing and outdoor dining …A pergola was added to increase the feeling of an ‘outdoor room’, and privacy was achieved by constructing ‘venetian’ style timber slatted screening around the boundaries, which in time would be softened when covered by scented climbers. 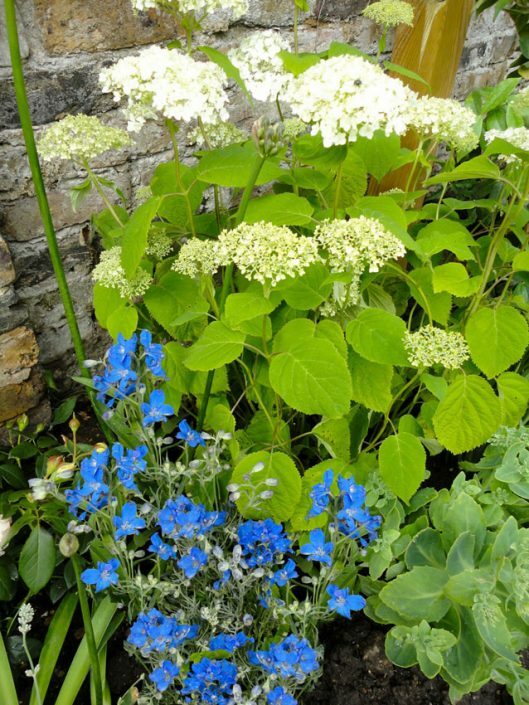 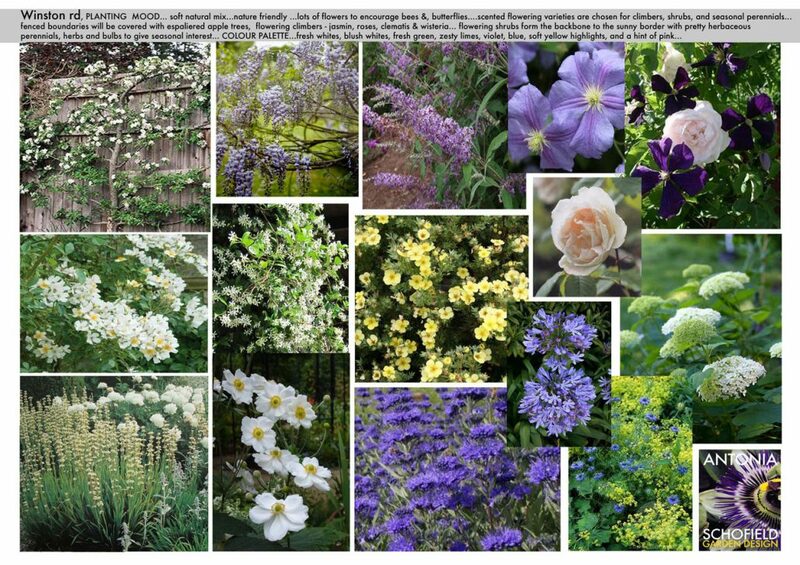 The whole family love wildlife and were keen to invite as many bees, butterflies, birds and other visitors into the garden, so plants like buddlejas, caryopteris, verbena and lavender lend themselves to a soft naturalistic planting scheme with a ‘English’ garden feel.